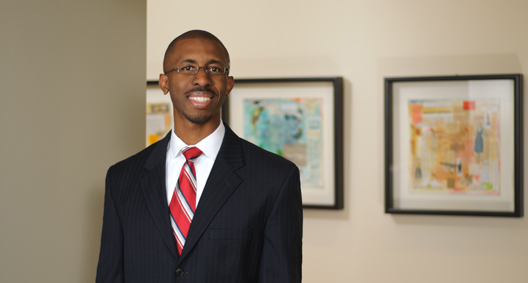 Craig Cupid brings significant real-world engineering experience to his intellectual property practice. Prior to his legal career, Craig held multiple engineering positions with a leading telecommunications company, including serving as an engineer responsible for escalated implementation matters encompassing the company's complete portfolio of data products. Craig focuses his practice on intellectual property procurement, intellectual property strategy, and licensing, with experience representing clients in the areas of energy, high technology, and consumer products. Craig believes that intellectual property is an asset that every successful company protects. He approaches client matters by first taking time to understand the client's business strategy and in turn implementing the best supporting intellectual property strategy. Intellectual property procurement and infringement analysis for a multinational software corporation. Analysis and risk assessment of information technology agreements including privacy and data security for multi-billion dollar acquisition. Counsel clients on Digital Millennium Copyright Act (DMCA) issues including updating their terms of service in order to be compliant with the DMCA safe harbor provision that protects appropriately registered online service providers from potential secondary liability for the infringing acts of others. Intellectual property procurement, infringement analysis, due diligence analysis and opinions for invalidity and noninfringement for a major telecommunications corporation. Worked with a technology company to maintain and enhance its patent portfolio. Analyzed each intellectual property asset and determined the intellectual property strategy by considering the client's business goals for the asset and the potential value of the asset in light of current market conditions. Supported major litigation for a Fortune 500 company by analyzing products placed on the market by potential infringers. Worked with a technology company to develop global intellectual property procurement and enforcement strategy. Drafted and provided advice regarding intellectual property license agreements, distribution agreements, and other contracts.